Image Size: 12" x 8 1/16 in. 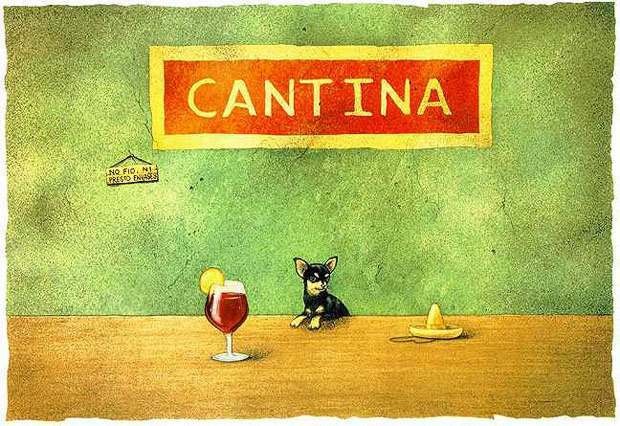 In the company of a Chihuahua, a pooch mucho famous for its starring roles in film and TV ads. P.S. What's that sign say?